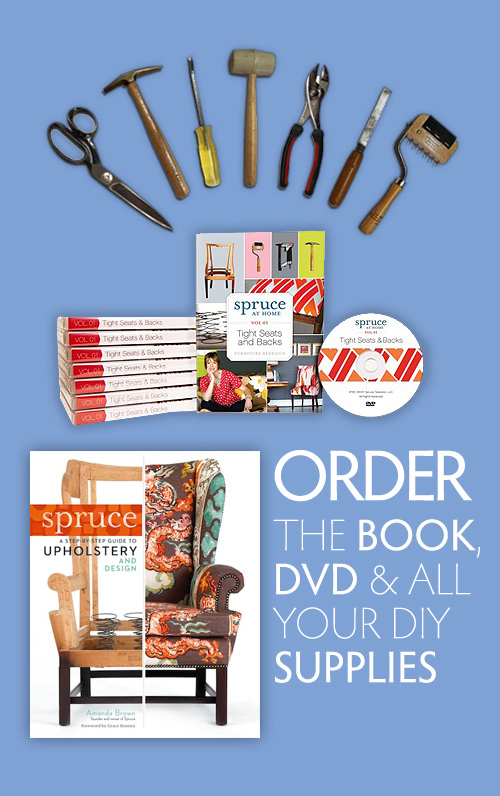 I’m Amanda Brown, and I’ve resurrected countless pieces headed for the dump into showstoppers at my Austin-based upholstery shop, Spruce. 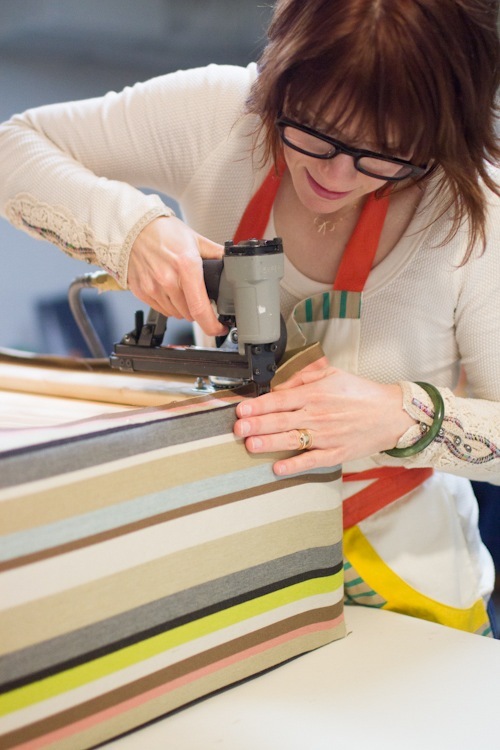 Before I became an upholsterer, I was mystified by the skills of upholstery. “Where do you hide all of the staples? How do you make cording?” Dive into my bag of tricks and create your own before and after beauties with these step-by-step tutorials I developed for HGTV and Design*Sponge! 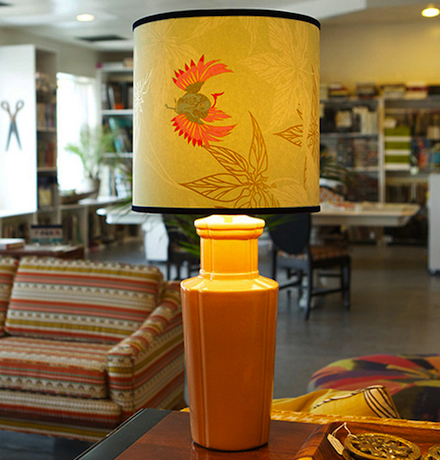 Using pretty wallpaper of your choice and just a few special lamp-making supplies, Amanda Brown of Spruce Austin teaches you how to make a high-style custom lampshade. She shares expert tips and tricks for snuggly wrapping the paper around the lampshade rings and finishing the edges of the shade with velvet trim for an extra luxe effect. Made up in a metallic print wallpaper, it pairs perfectly with a vintage lamp base. Read more on Creativebug.